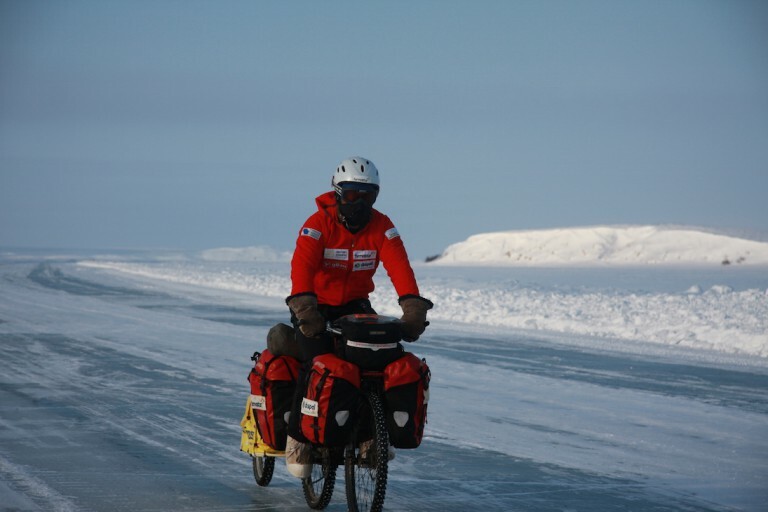 Cold, wind, loneliness, running out of food, wild animals. 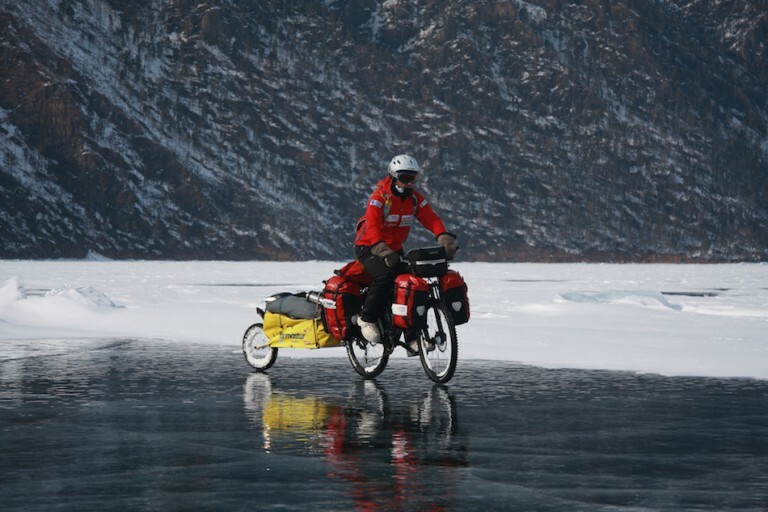 Expedition crossing the frozen surface of Lake Baikal. 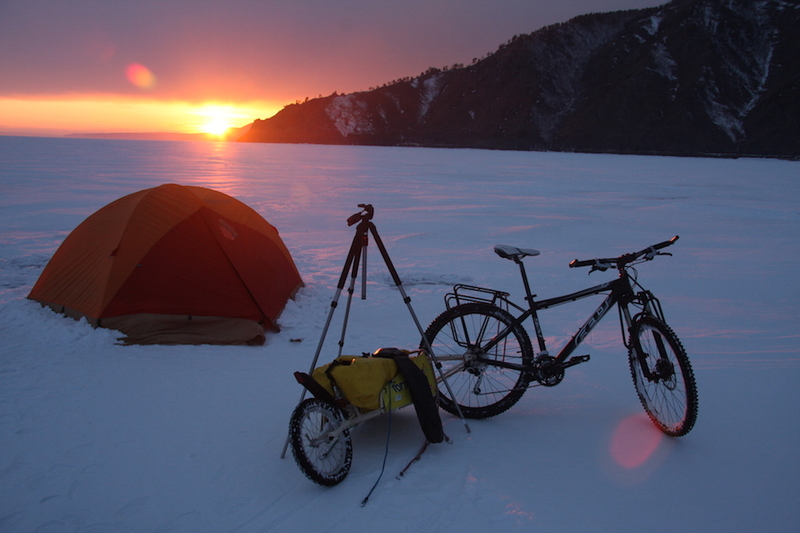 It’s the deepest lake in the world, the fifth largest on the planet and the biggest in Asia. 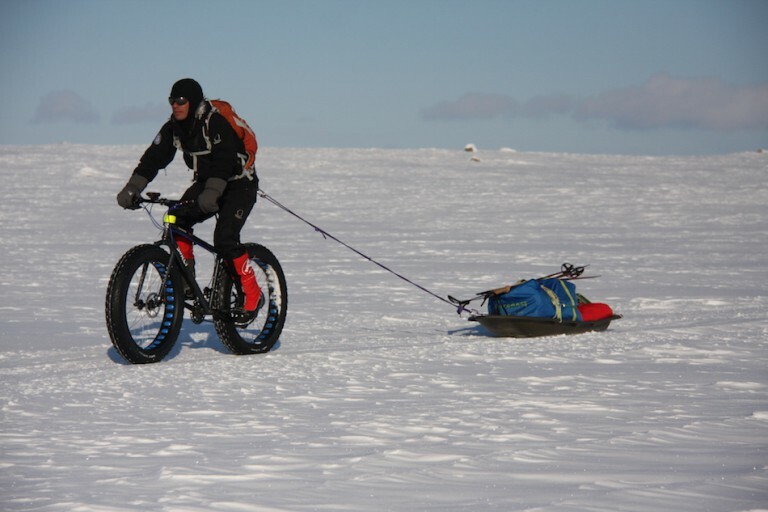 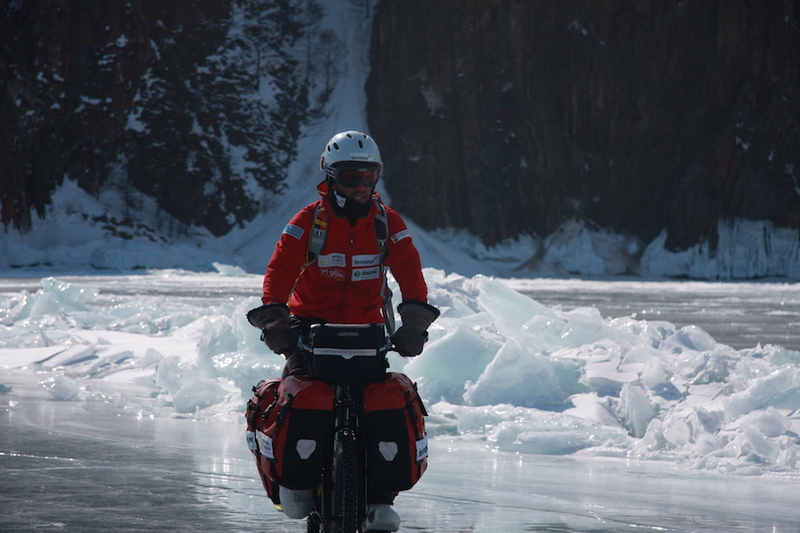 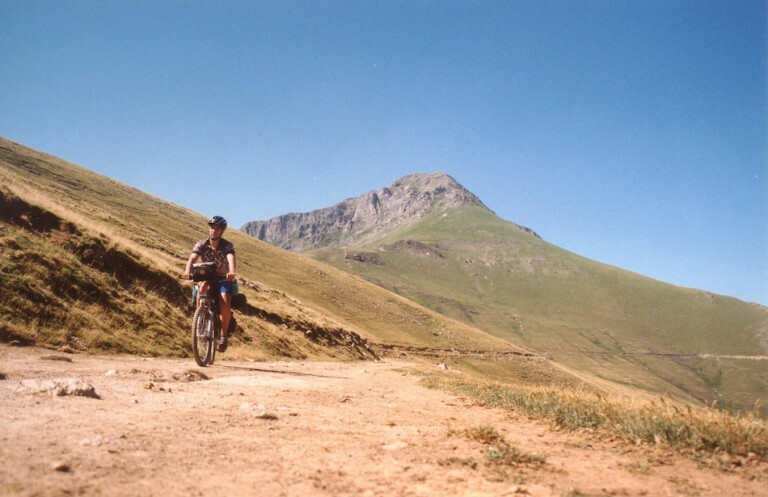 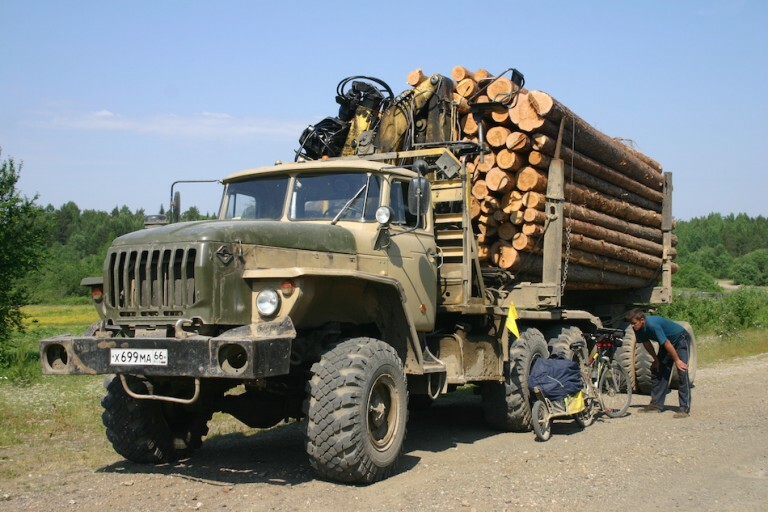 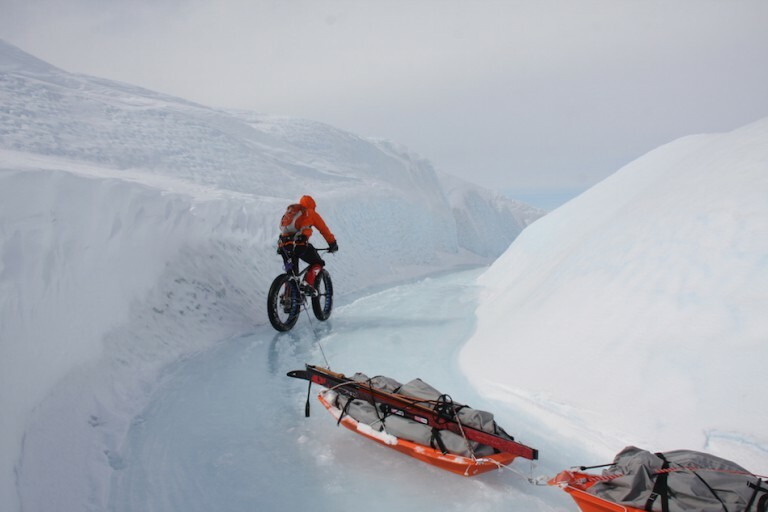 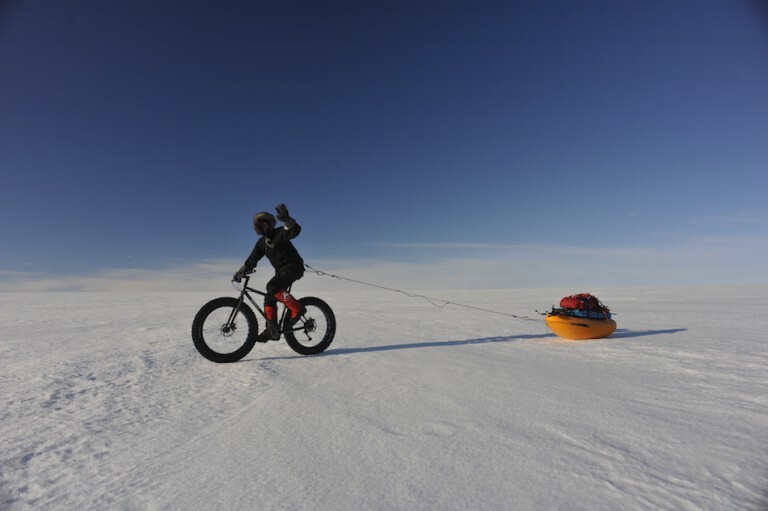 After his other experiences in arctic environments, this was a great challenge as there were no roads nor tracks and all the pedalling had to be done off-piste. 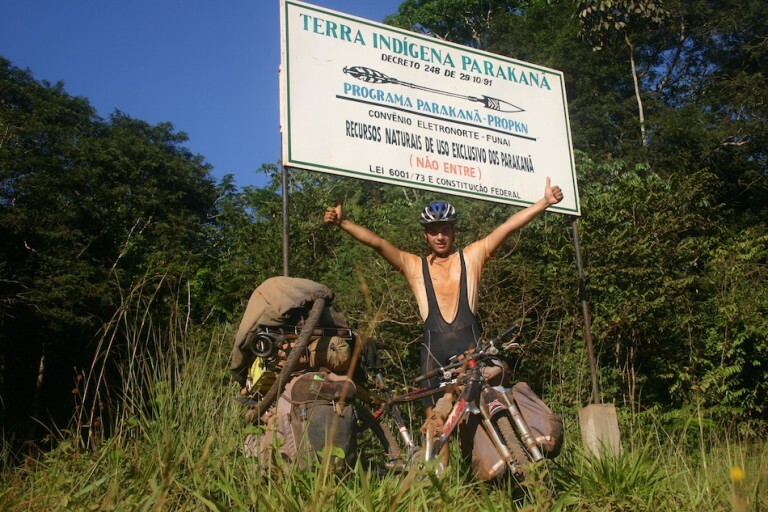 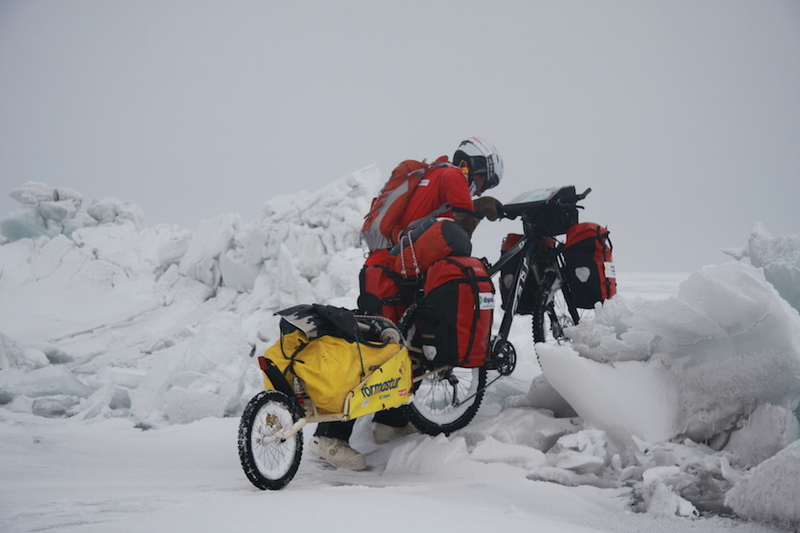 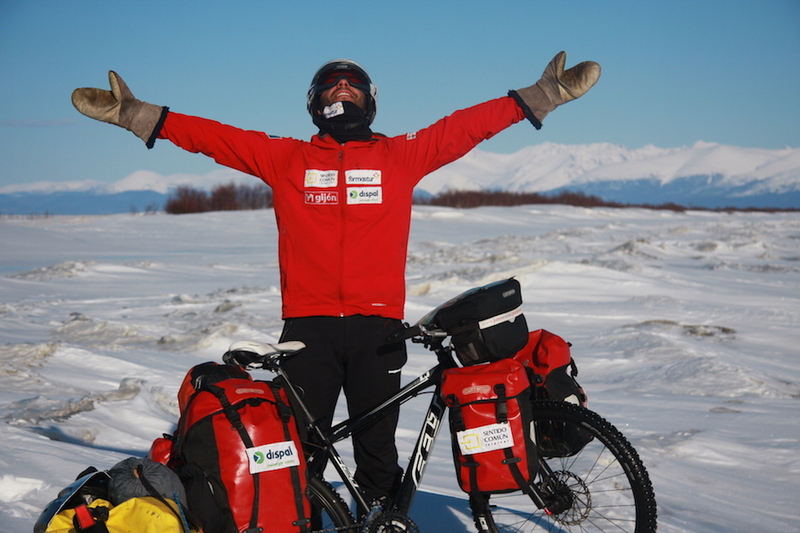 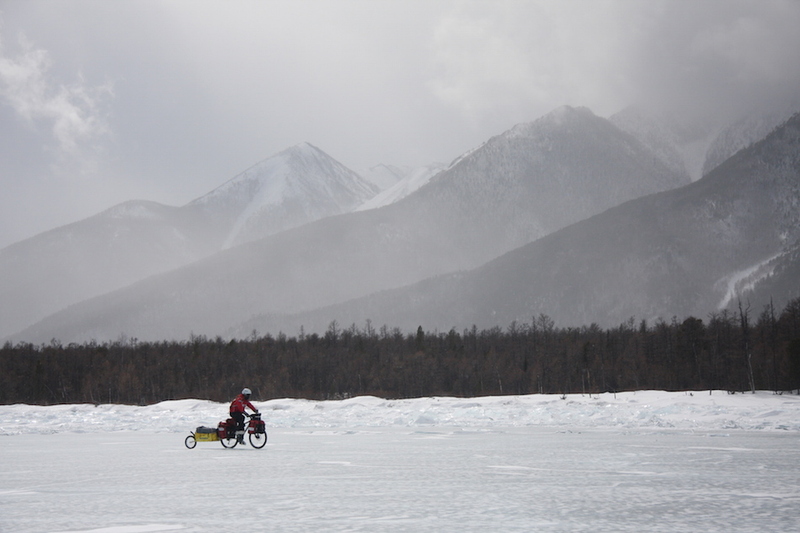 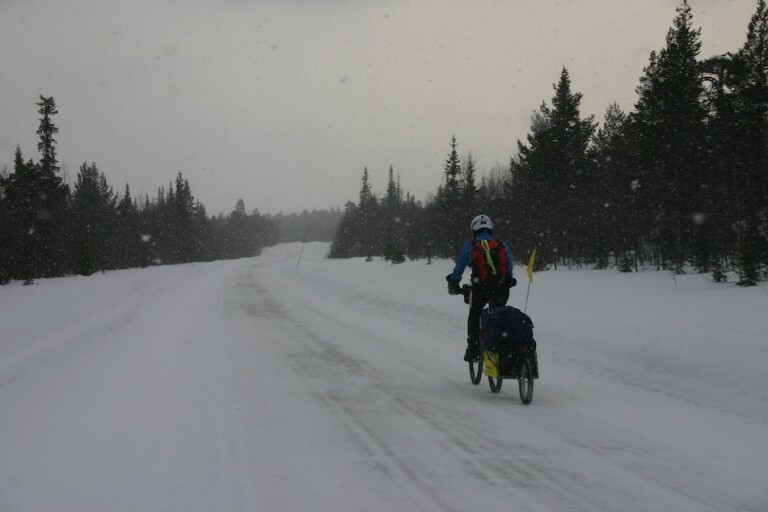 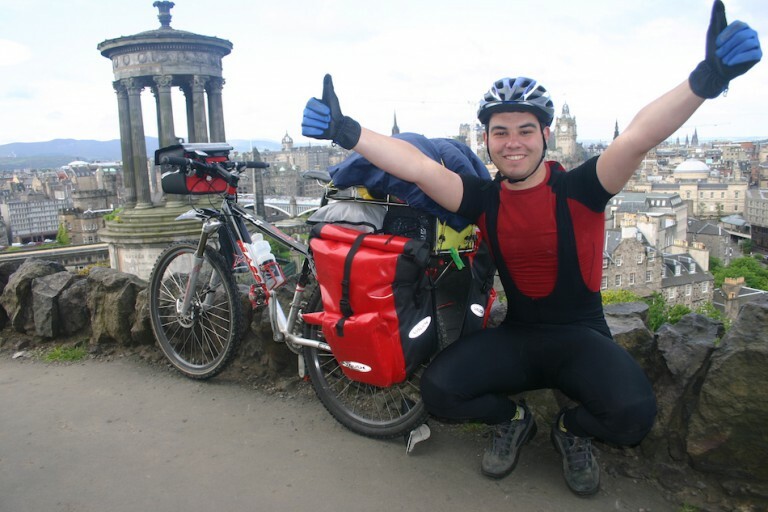 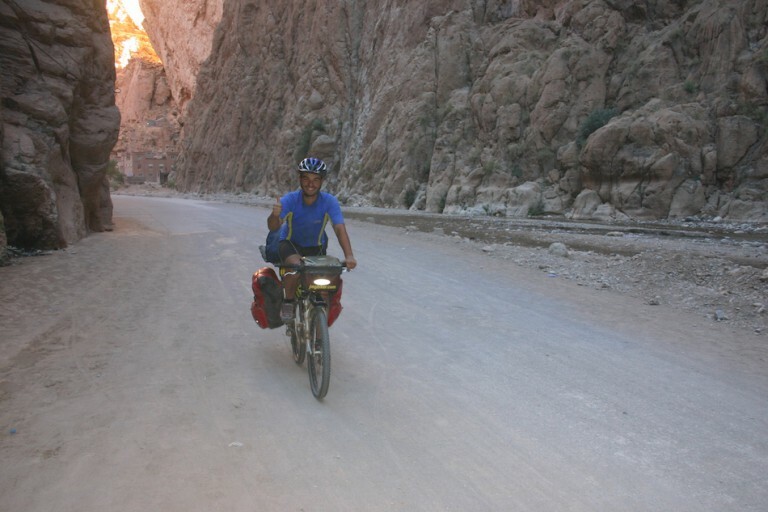 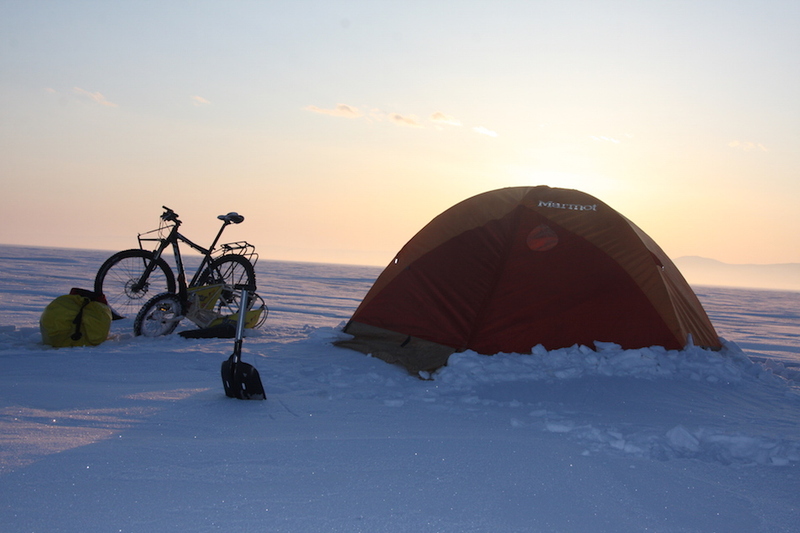 He endured really harsh conditions, having to push his bike parts of the way for days on end because of the snow. 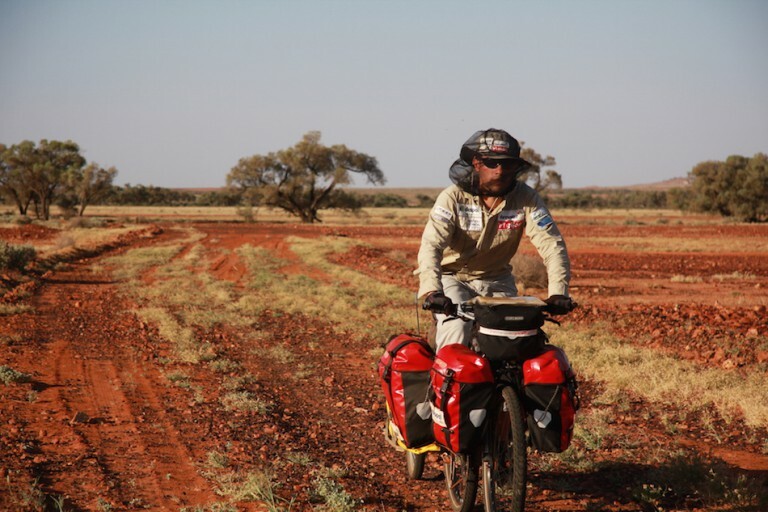 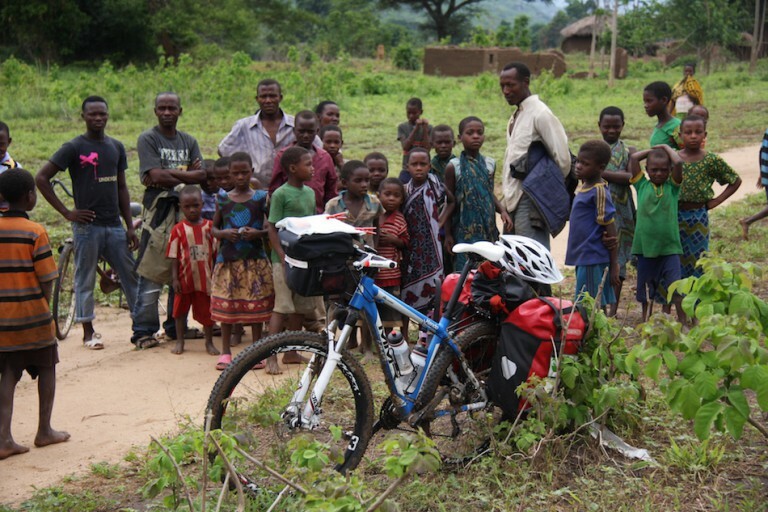 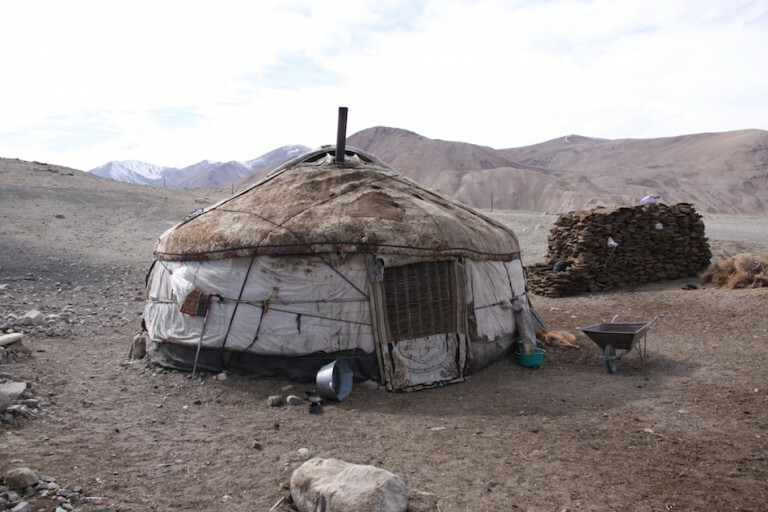 What was supposed to be a 12 to 14 day journey turned into a 19-day odyssey, which meant having to eke out his provisions so that they would last. 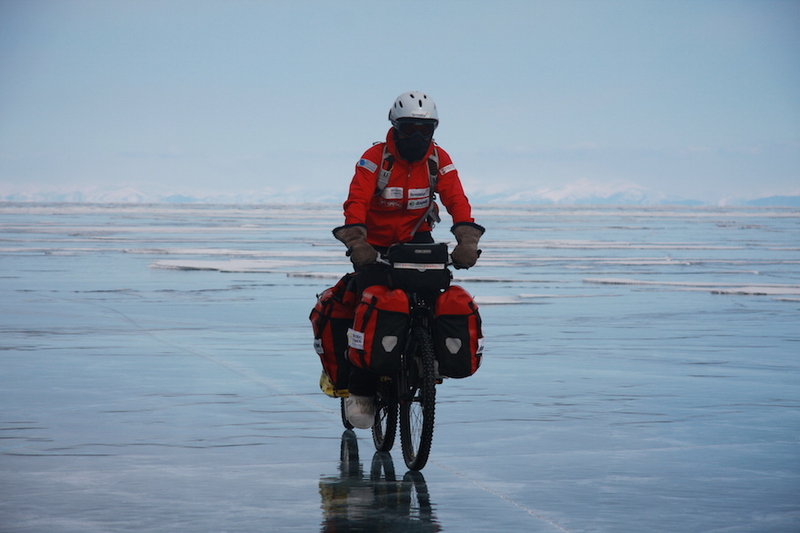 It was the first totally autonomous crossing without stopping on the lake shore to sleep or stock up on supplies.